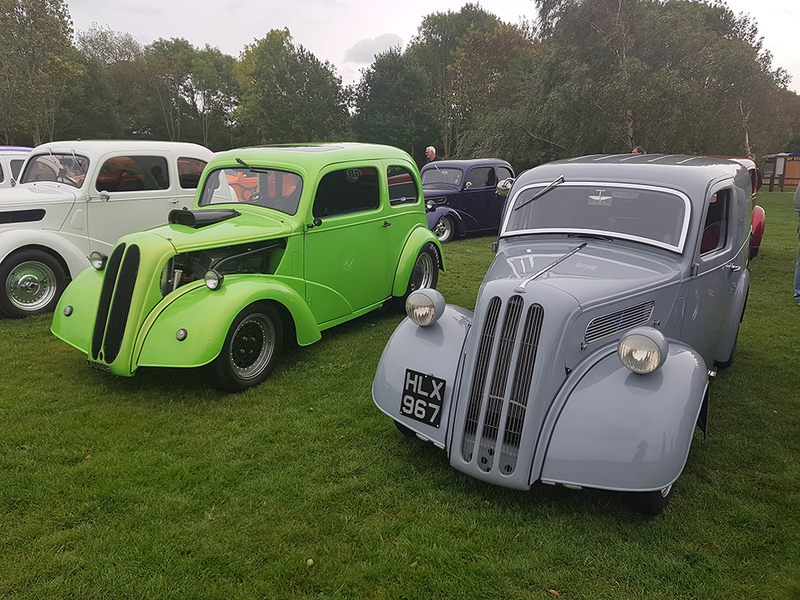 Popstalgia 2018 – The show to make you pop with excitement! 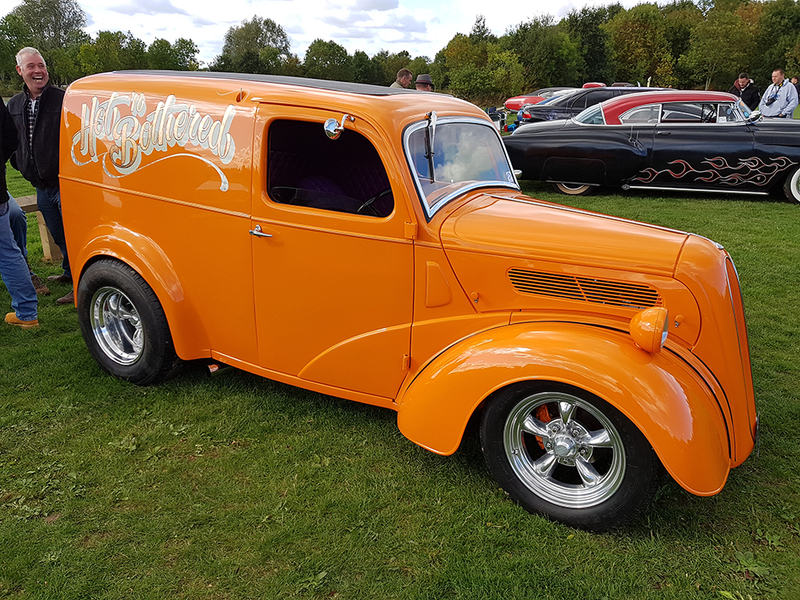 Home » Popstalgia 2018 – The show to make you pop with excitement! 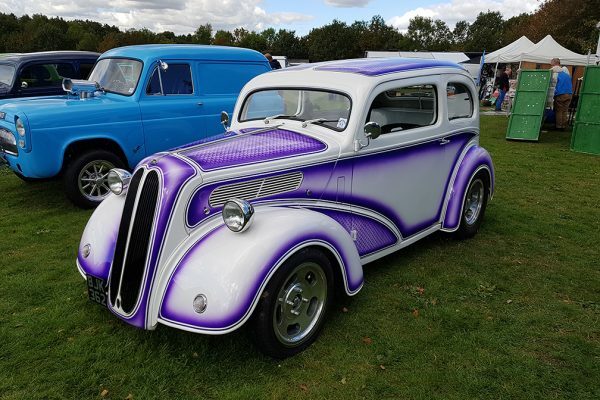 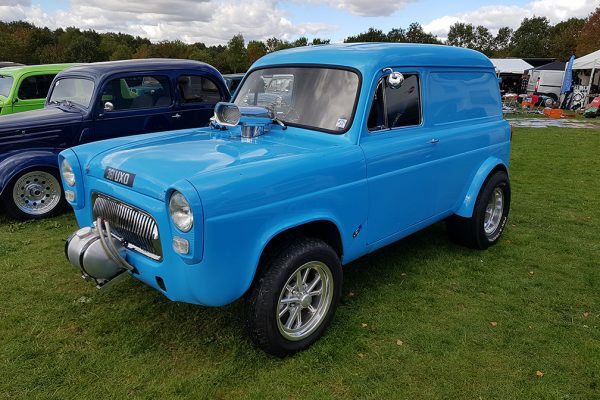 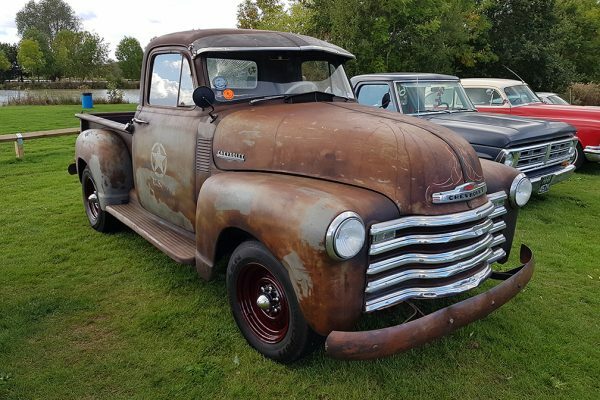 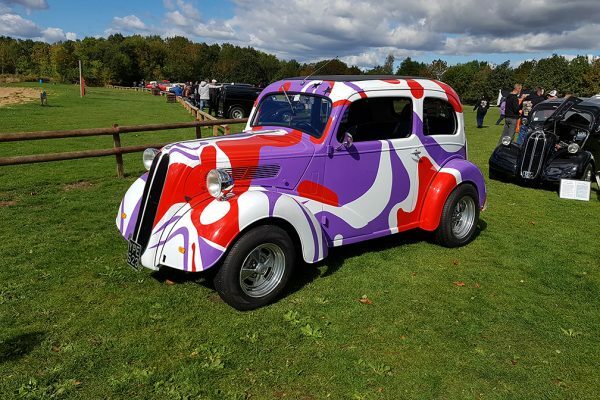 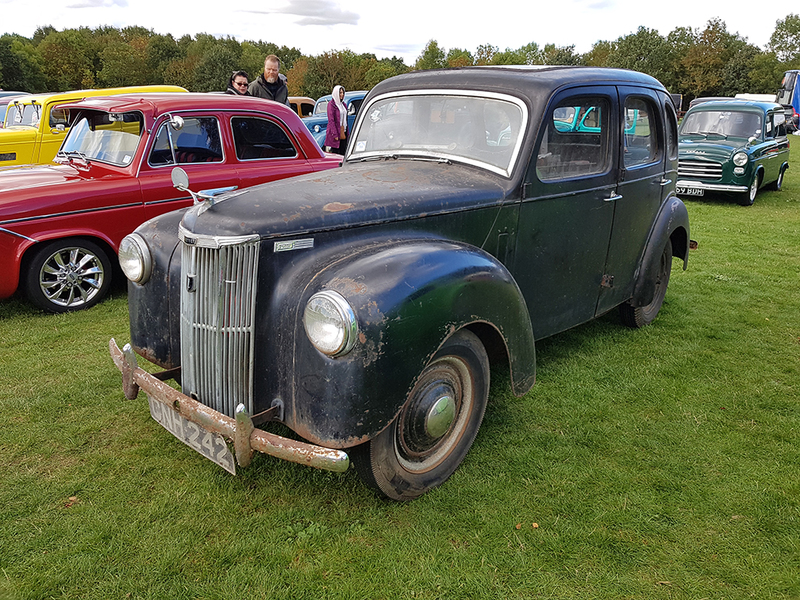 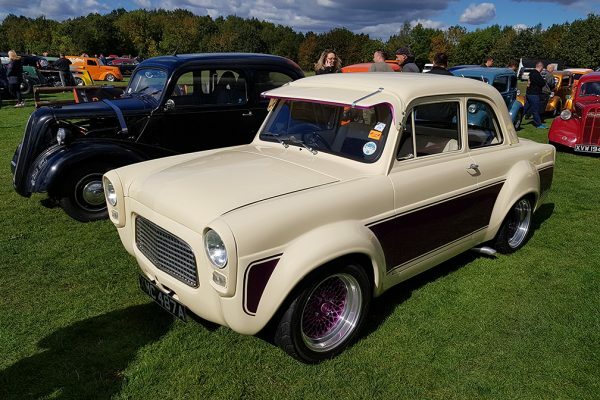 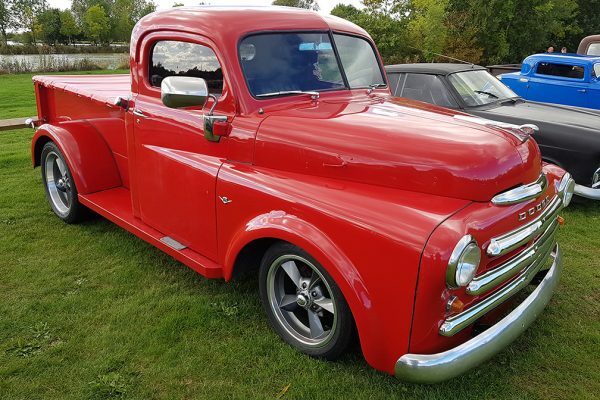 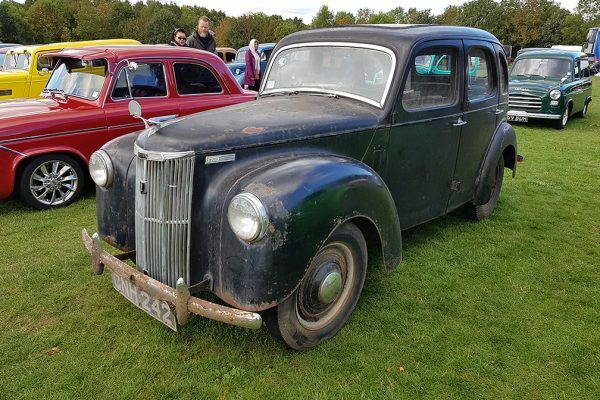 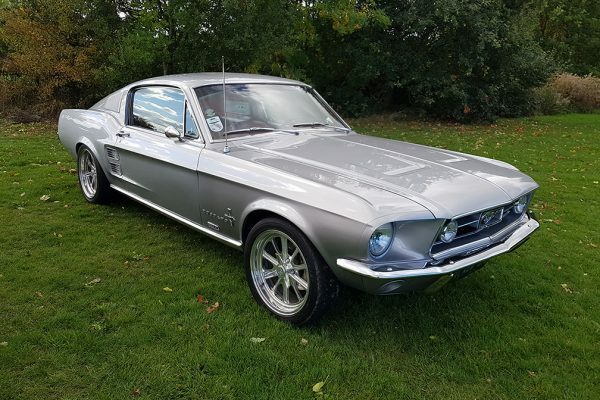 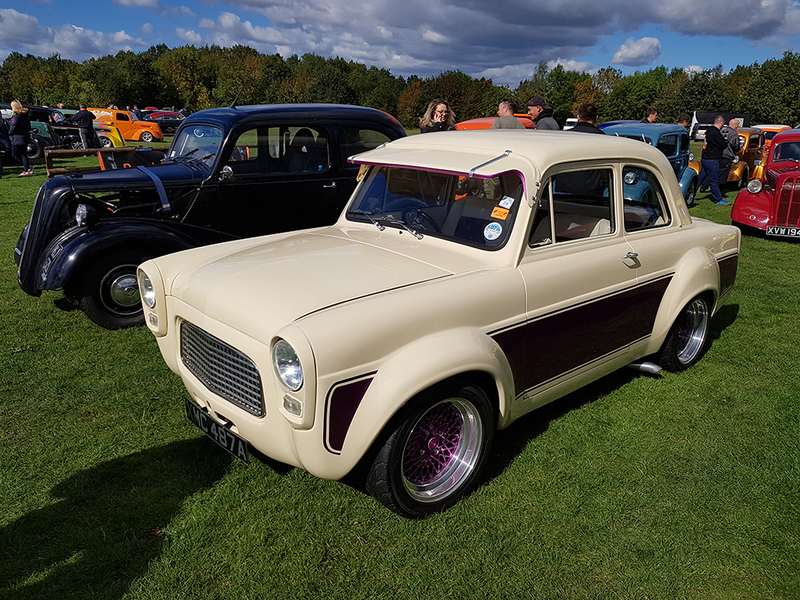 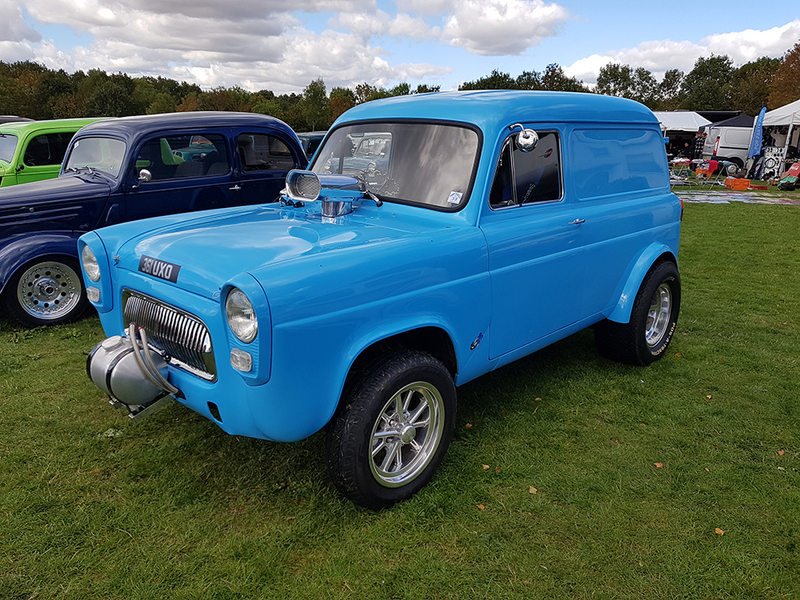 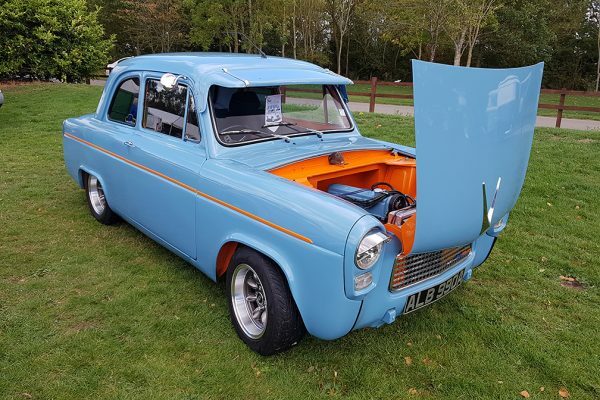 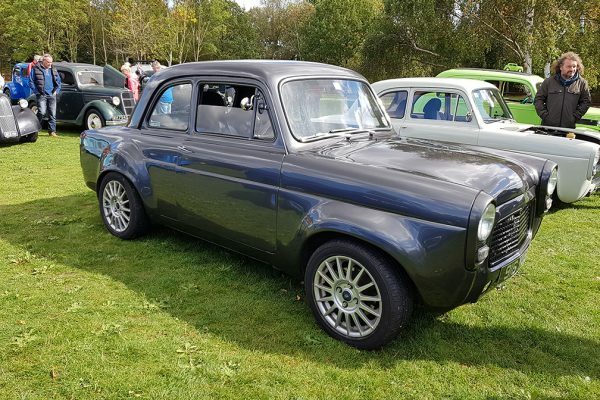 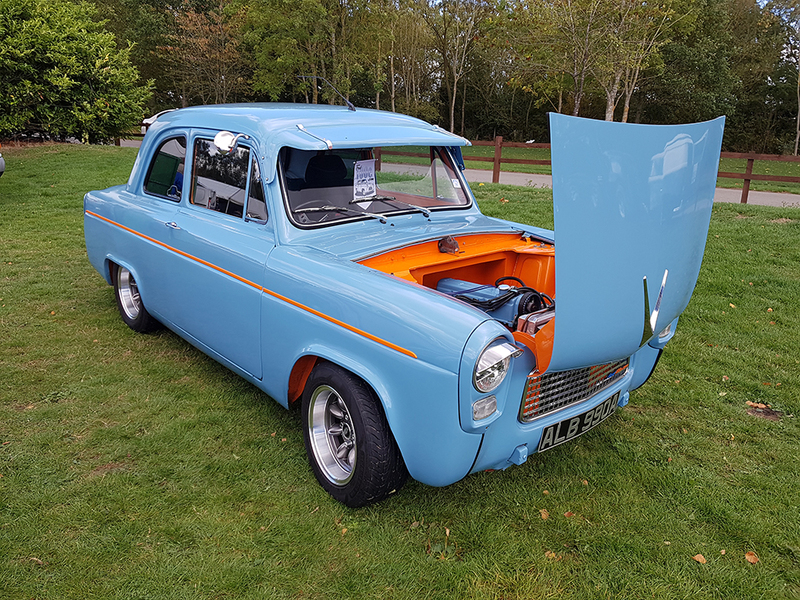 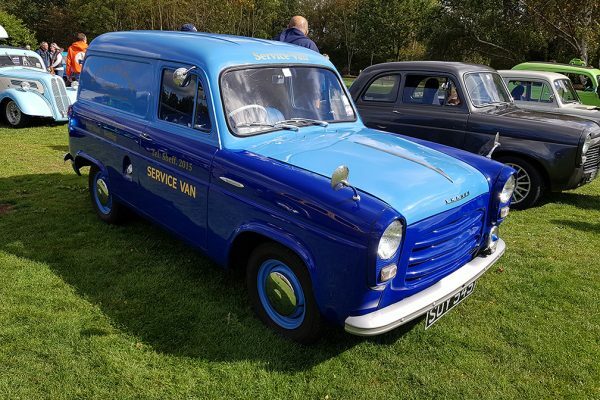 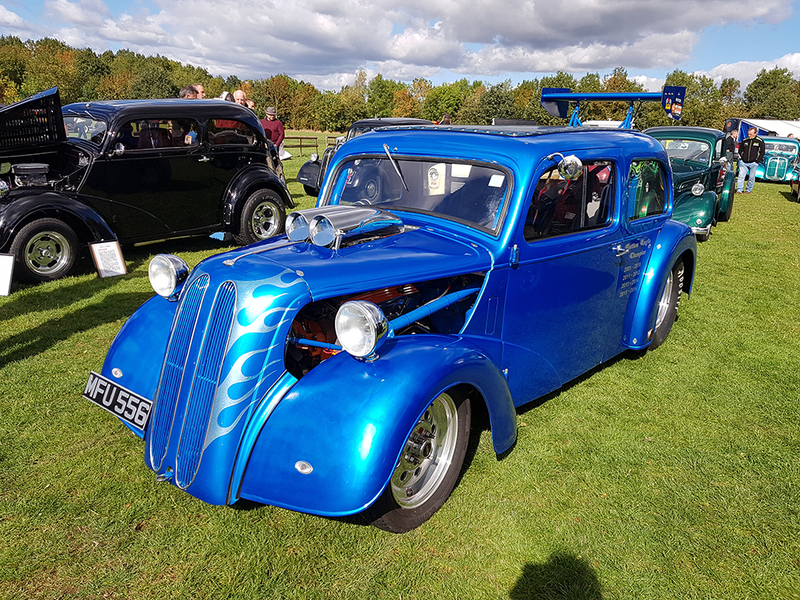 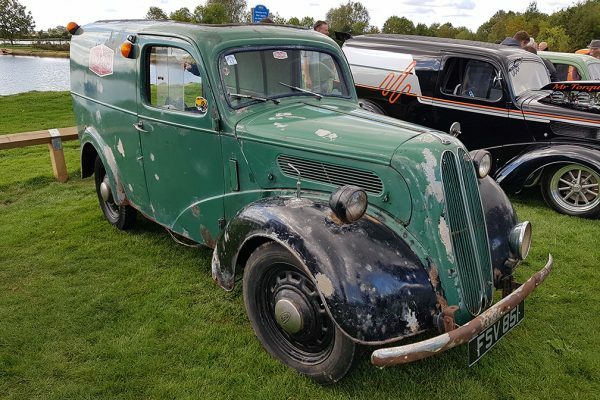 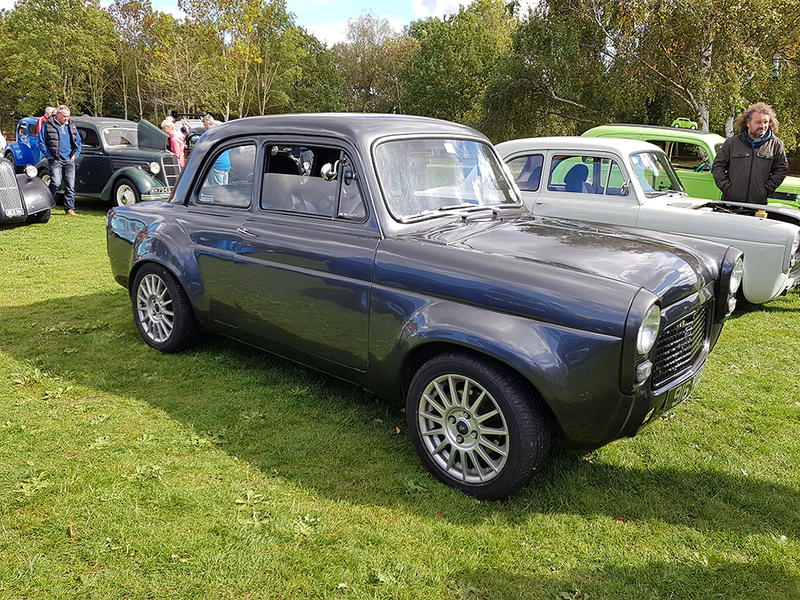 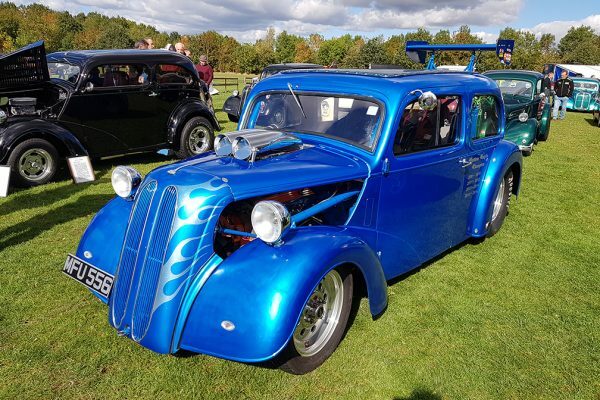 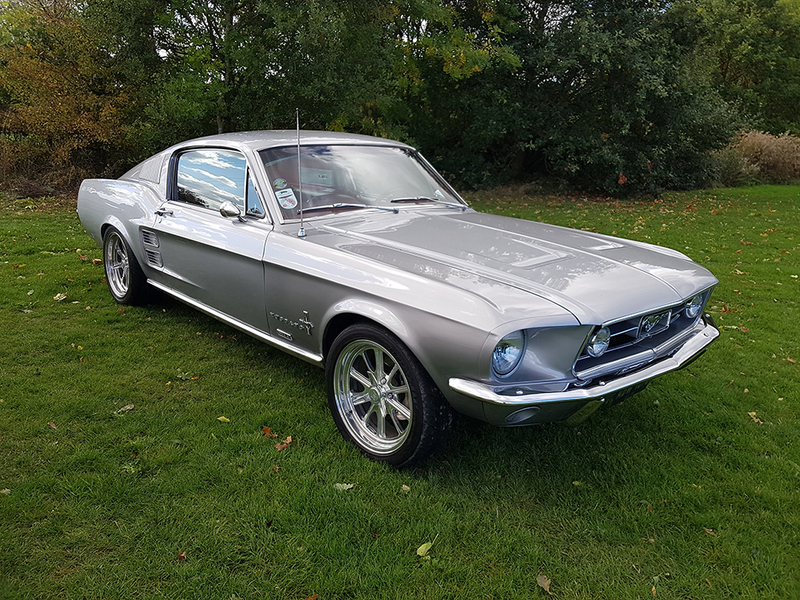 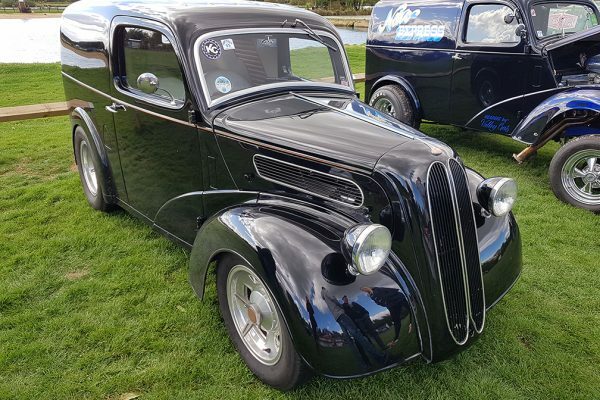 Popstalgia – a celebration of Ford Pops, Anglia’s, Prefect’s, Fordson’s, Pilot’s, EO4A’s, Y Types and 100e’s…stock, rodded or modified! 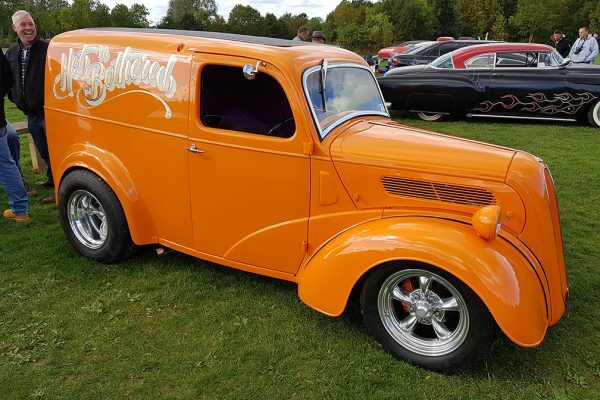 Popstalgia is a laid back, friendly event, and if you are a Pop owner, this show is a must. Arriving early Friday morning, we battled against the wind to put get the tents and gazebo up. 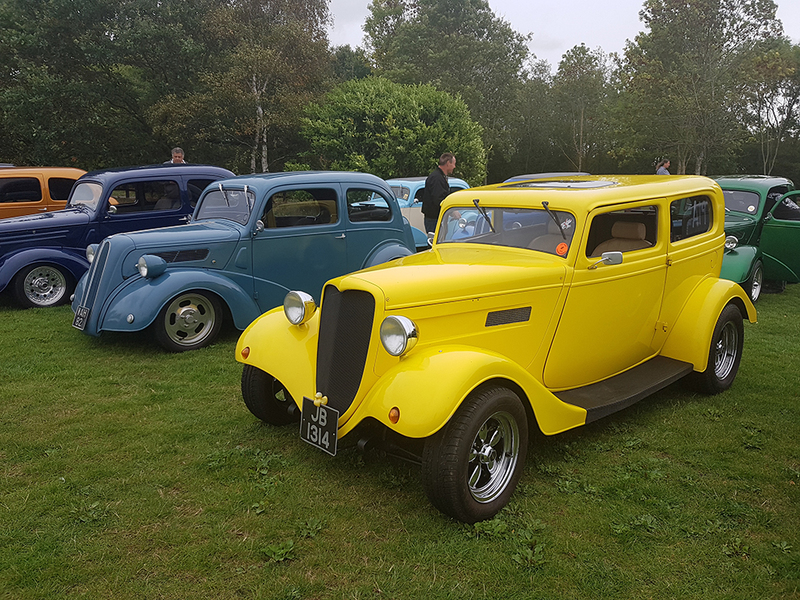 Once up, all we could do was shelter from the elements with a big pot of tea, homemade cake and watch the other cars arrive throughout the afternoon. 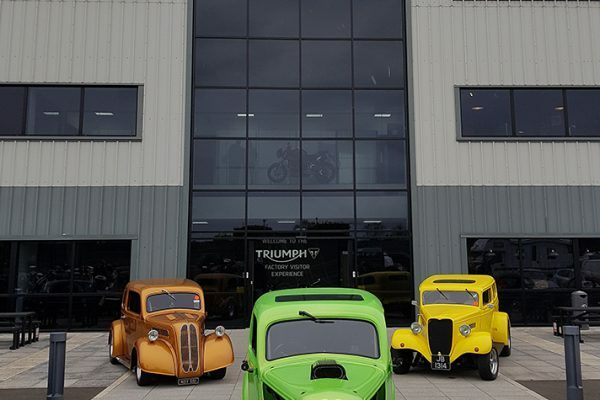 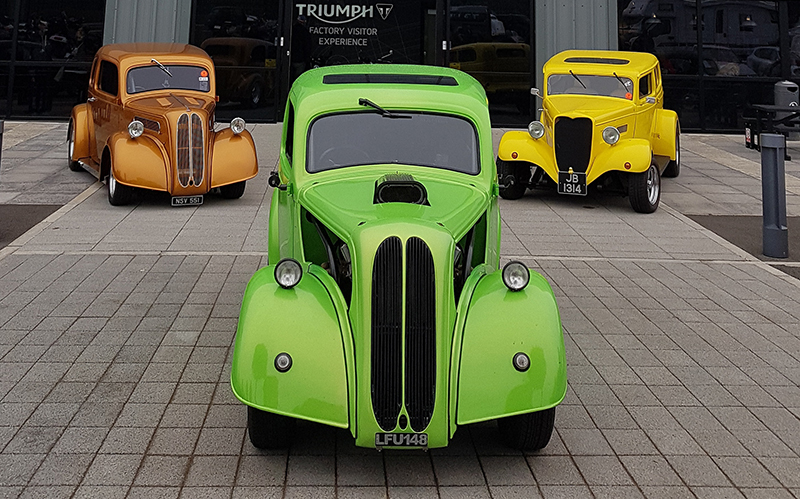 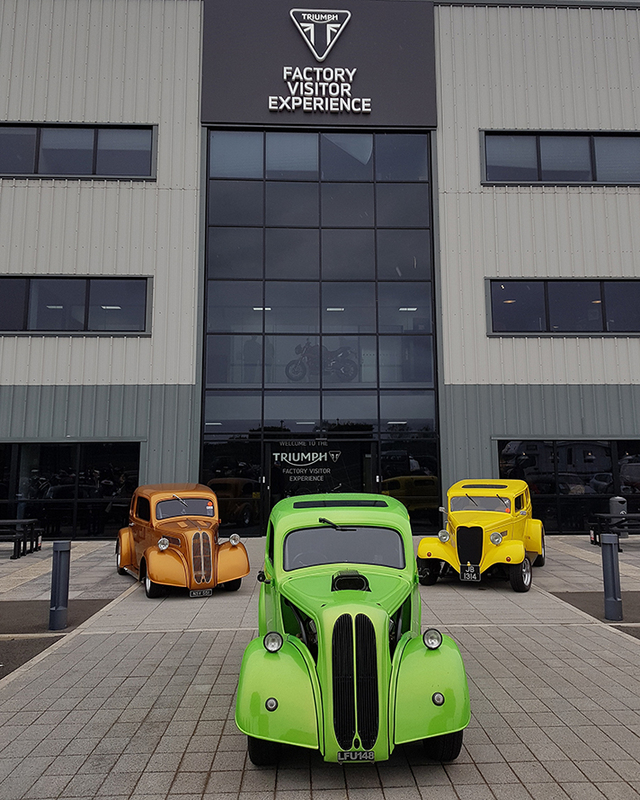 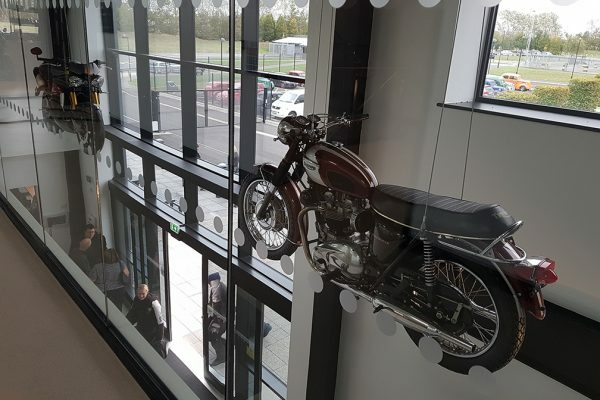 Saturday’s cruise out was to the nearby Triumph Visitor Factory Experience, not too far from our HQ here in Hinckley. 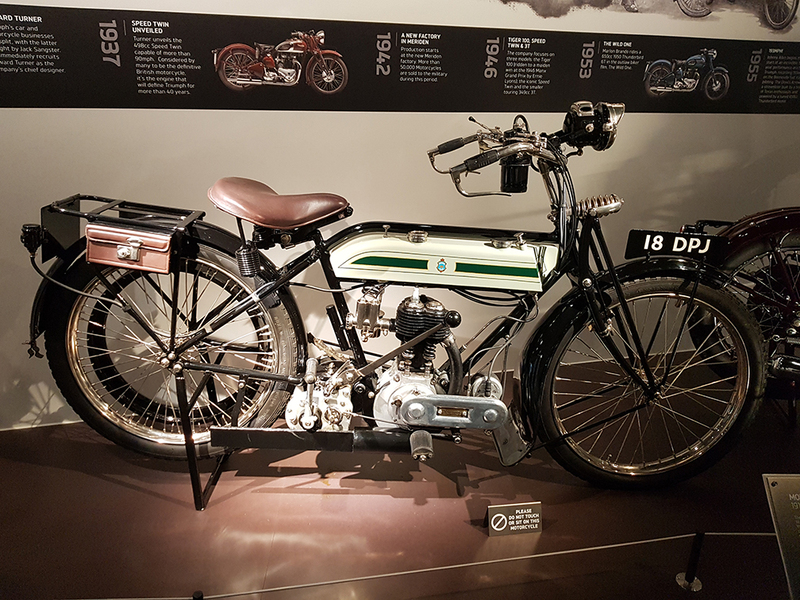 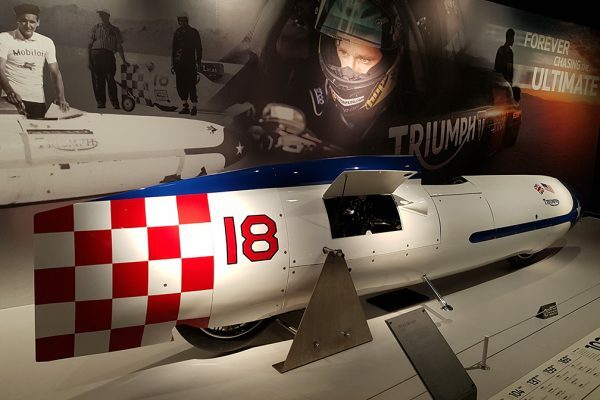 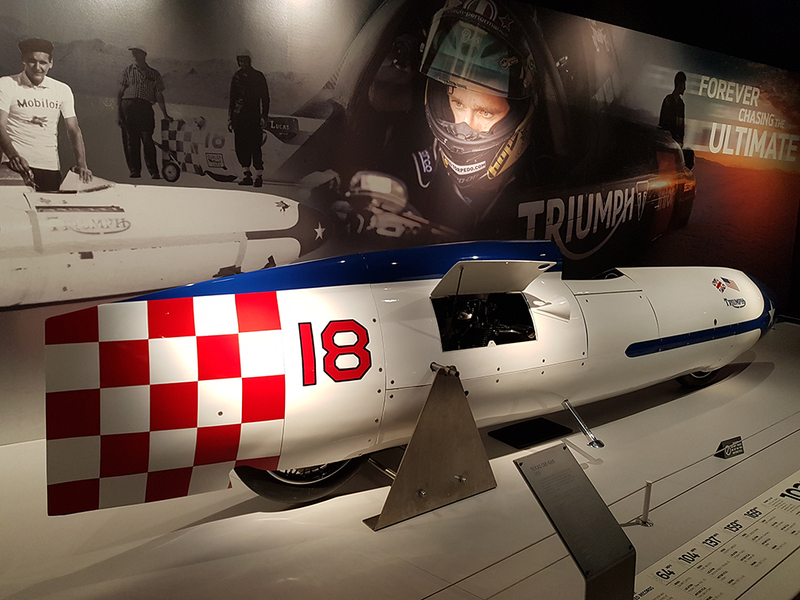 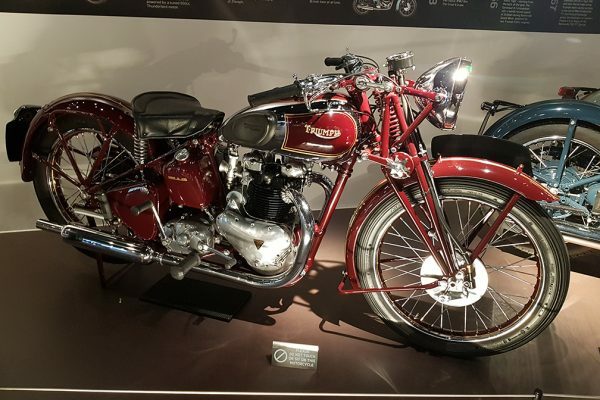 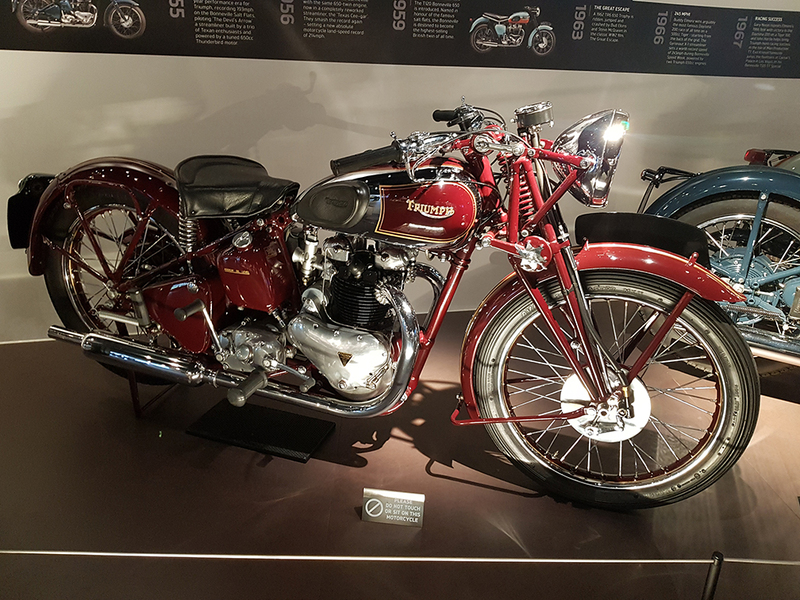 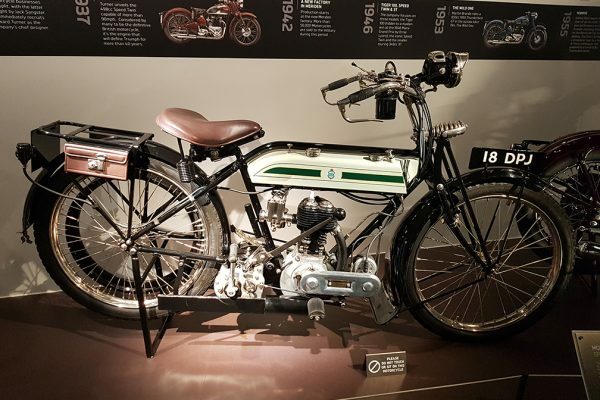 It was fascinating to see not only a few early prototype models, but also the Bonneville land speed record Texas Cee-Gar bike which smashed the world land speed record in 1956 at 214.4mph! 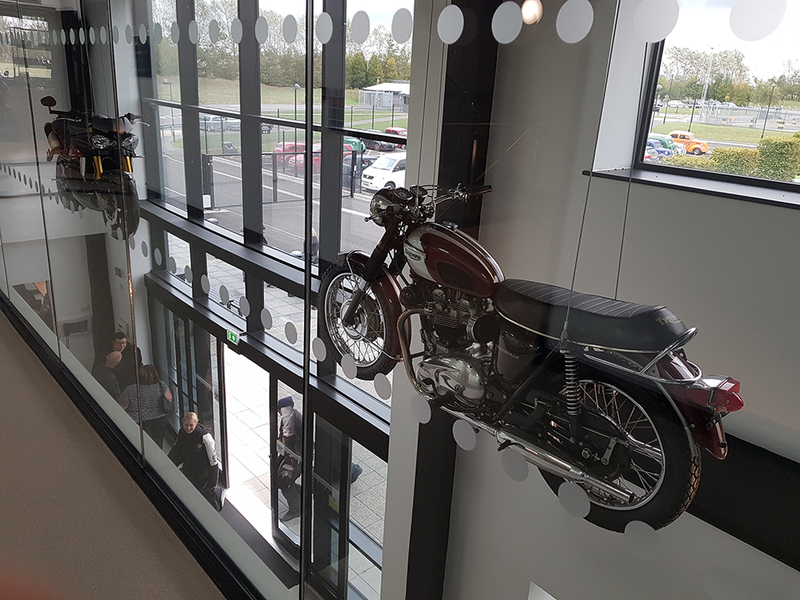 Did you know that ClassicLine have a specialist insurance scheme for Scooters and classic motorcycles…? 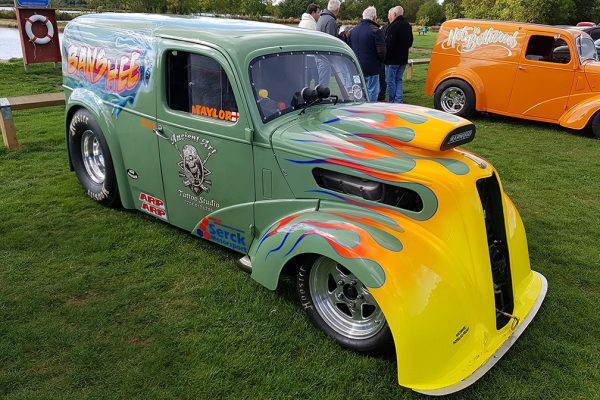 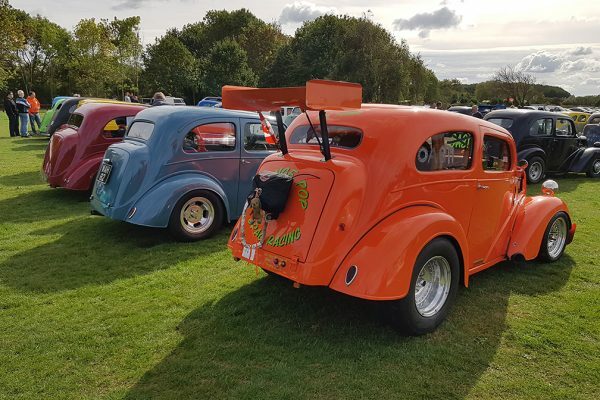 Saturday evening, the Orange Pop Racing team got the party started by firing up their orange 540cui big block Chevy powered Outlaw Anglia Fordson, with Popstalgia organiser, Keith Elliott, sitting in the driver’s seat! 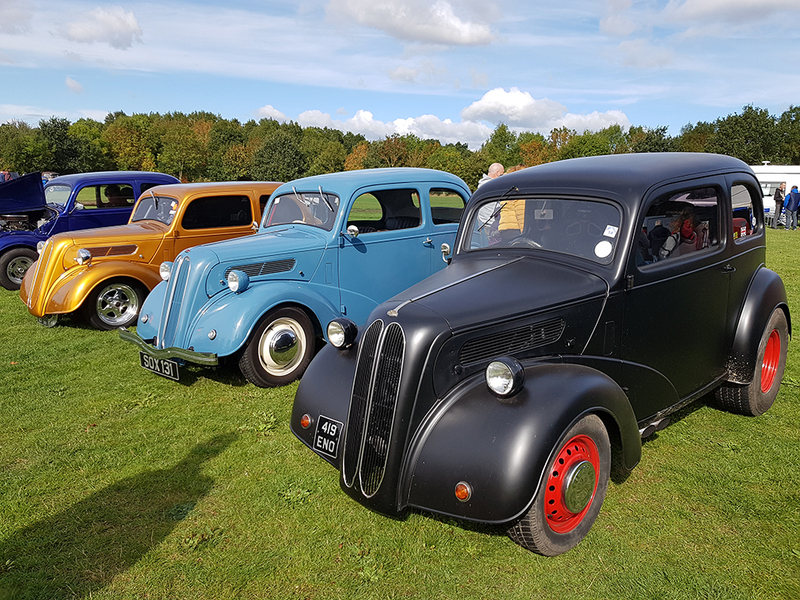 The predicted forecast for Sunday was not good, however, we woke to clear blue skies and it turned into a great day. 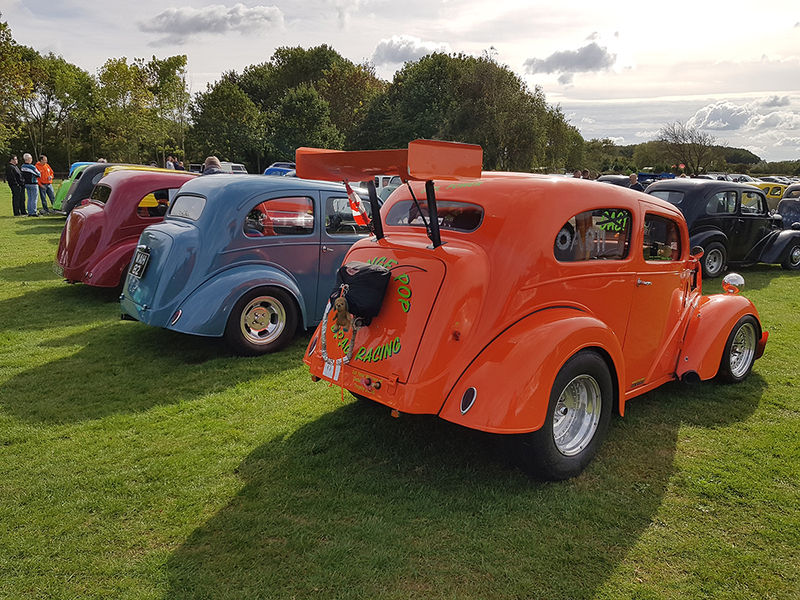 The show field gradually filled up with Pops of all colours and stance – it was great to see. 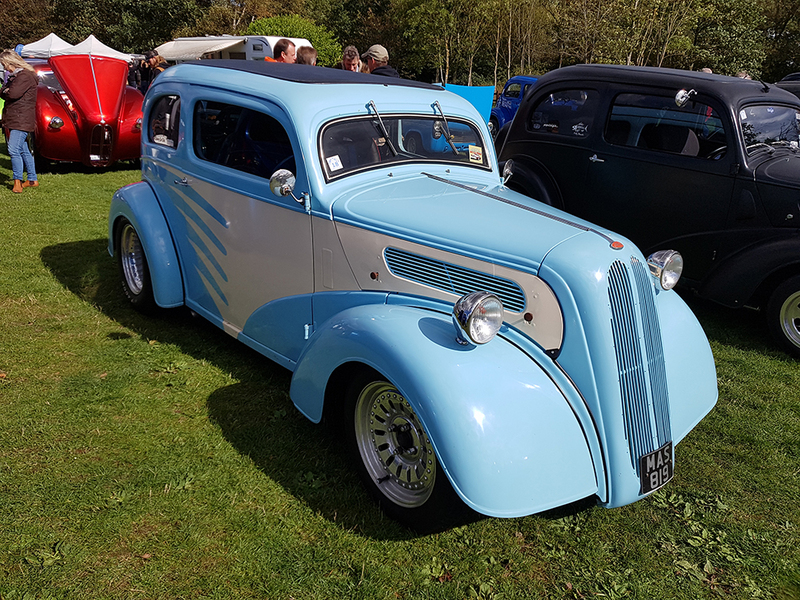 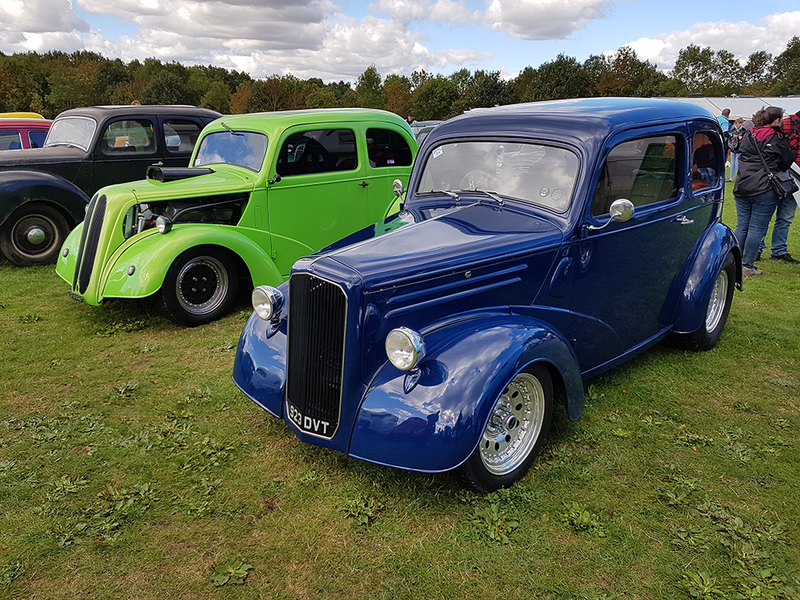 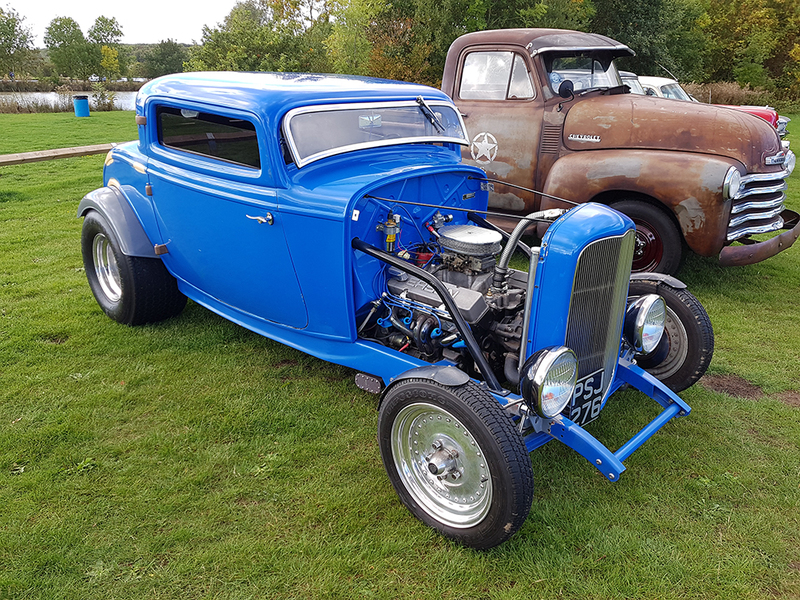 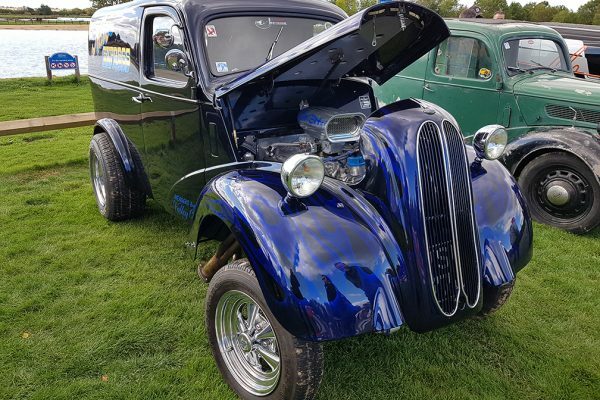 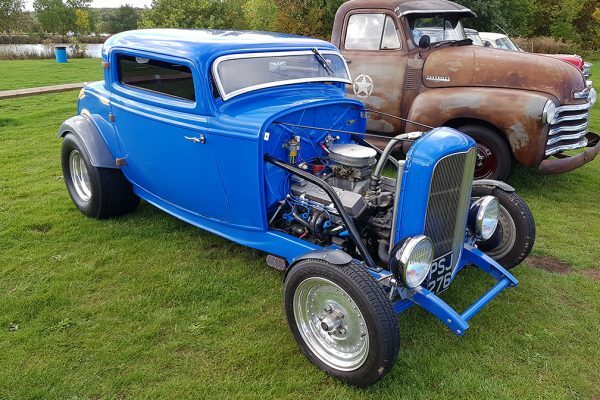 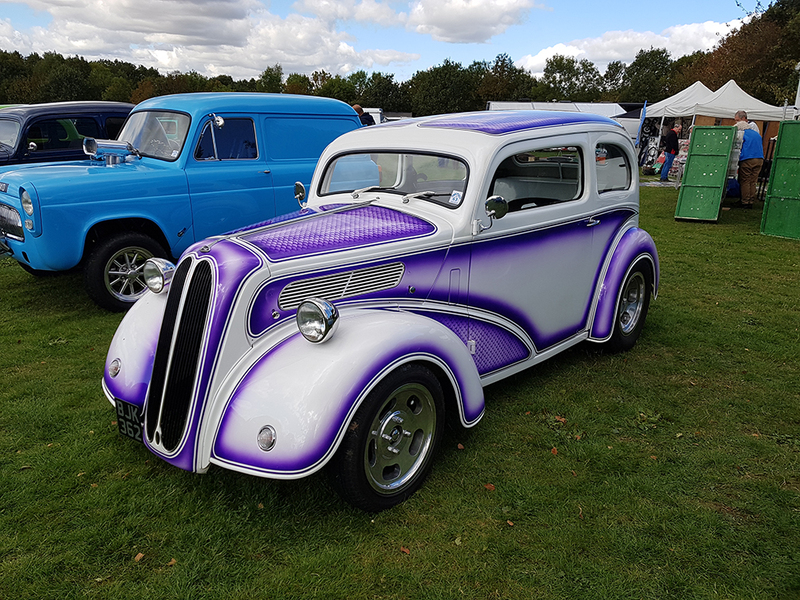 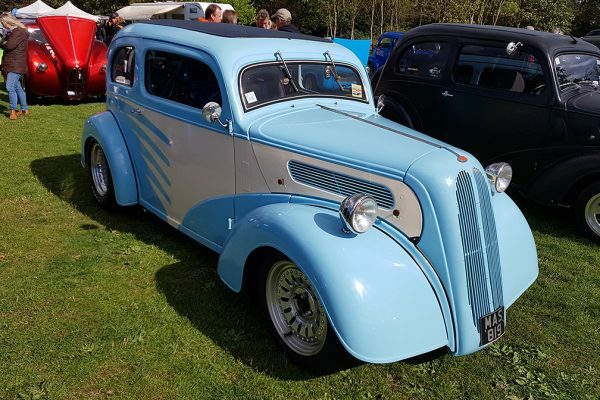 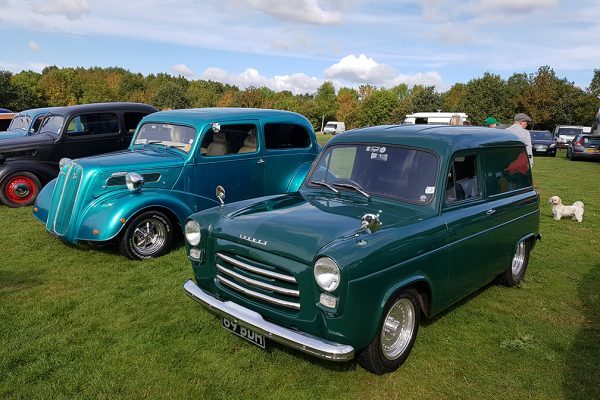 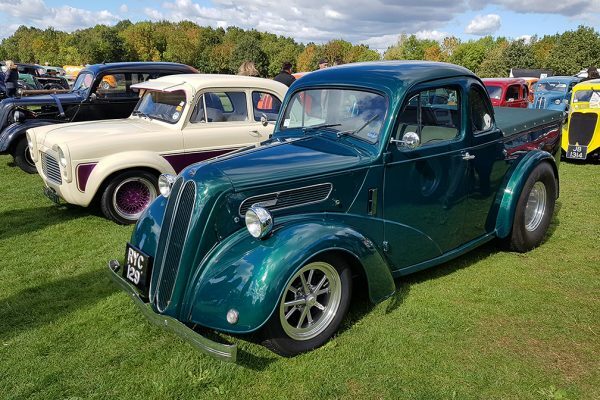 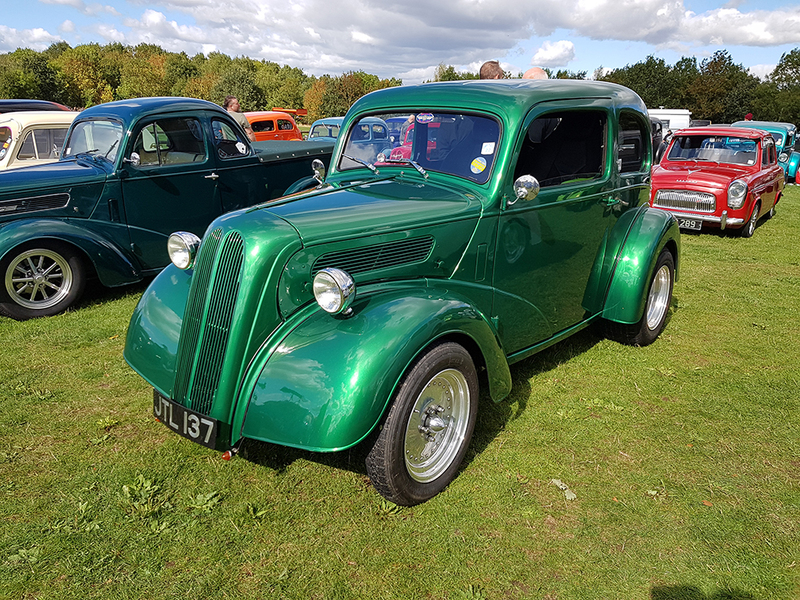 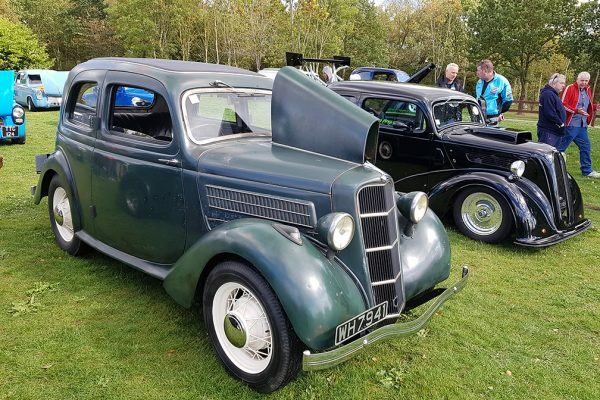 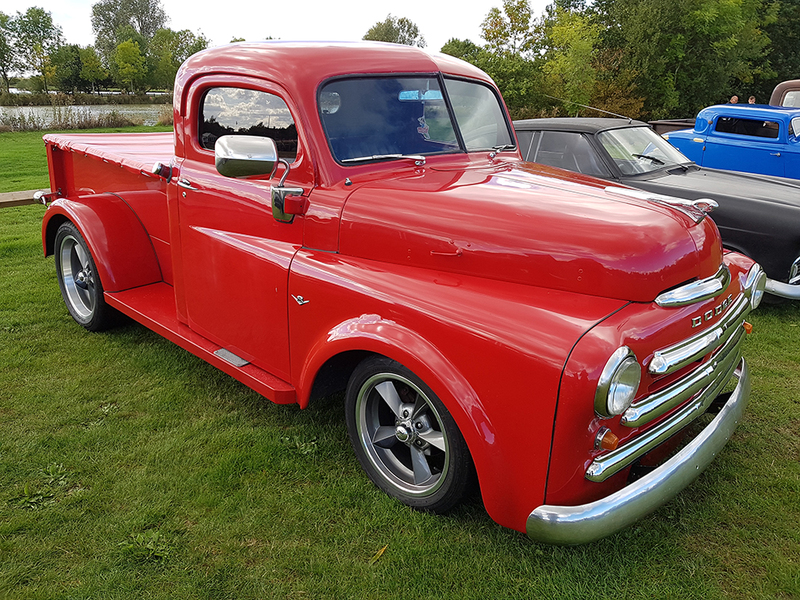 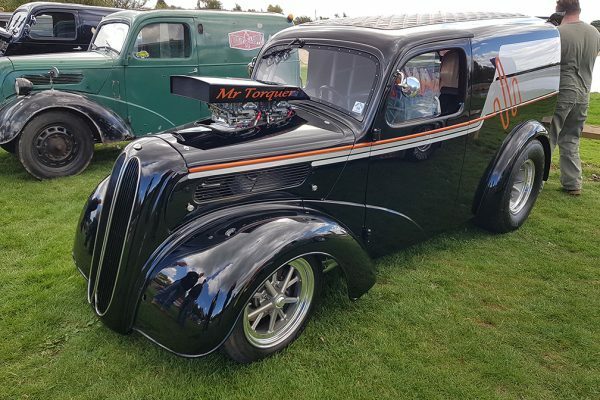 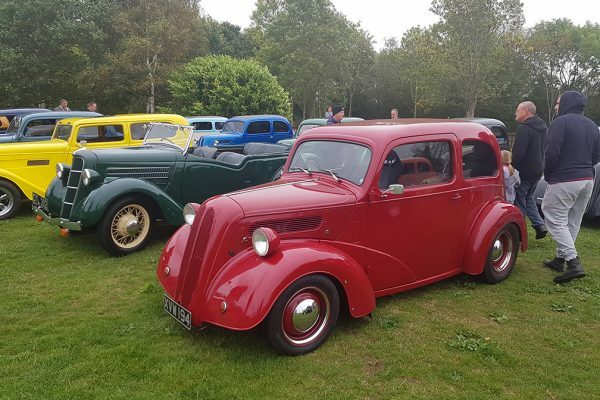 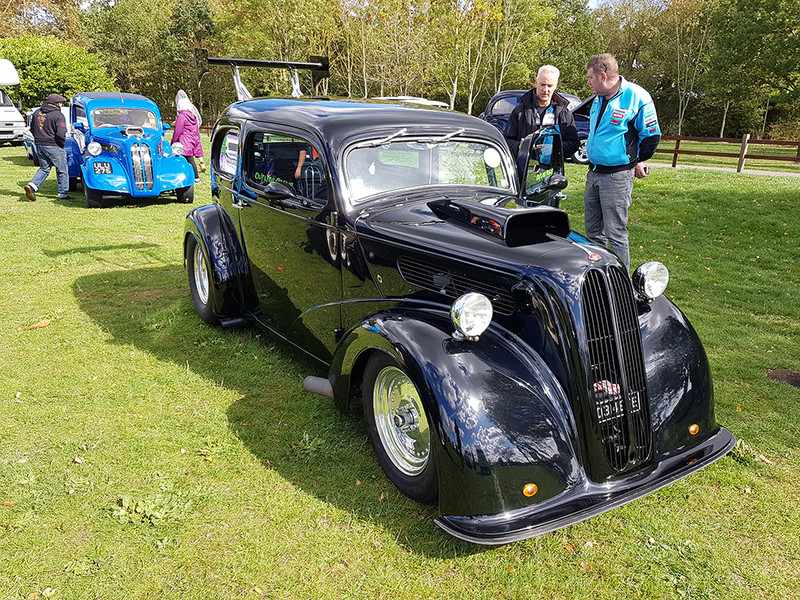 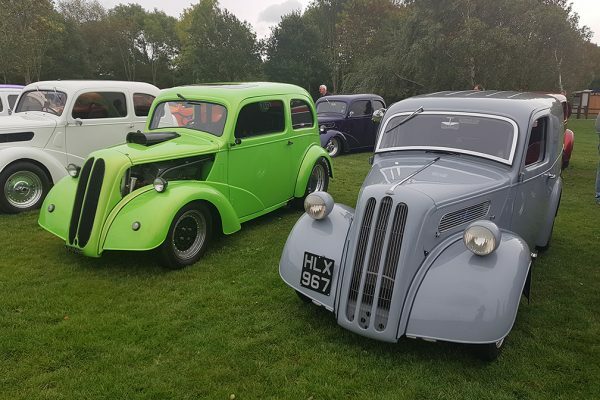 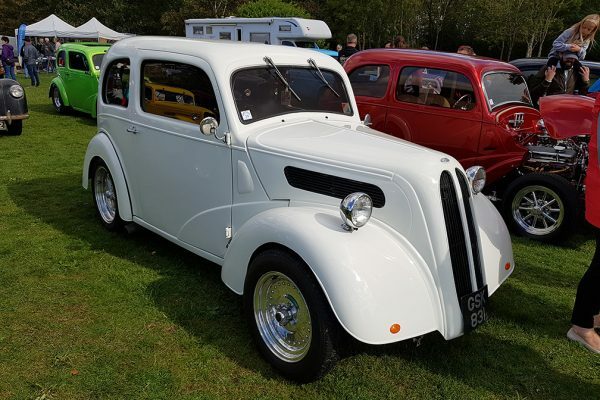 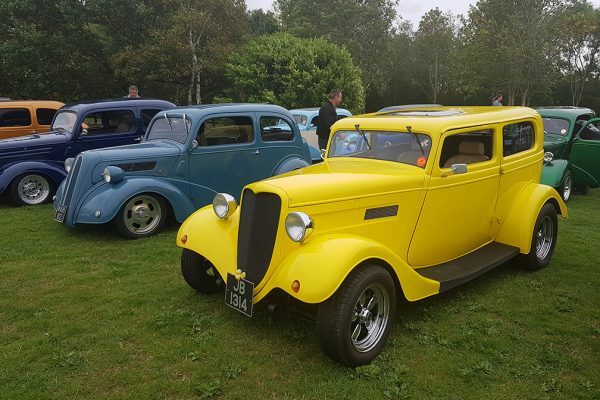 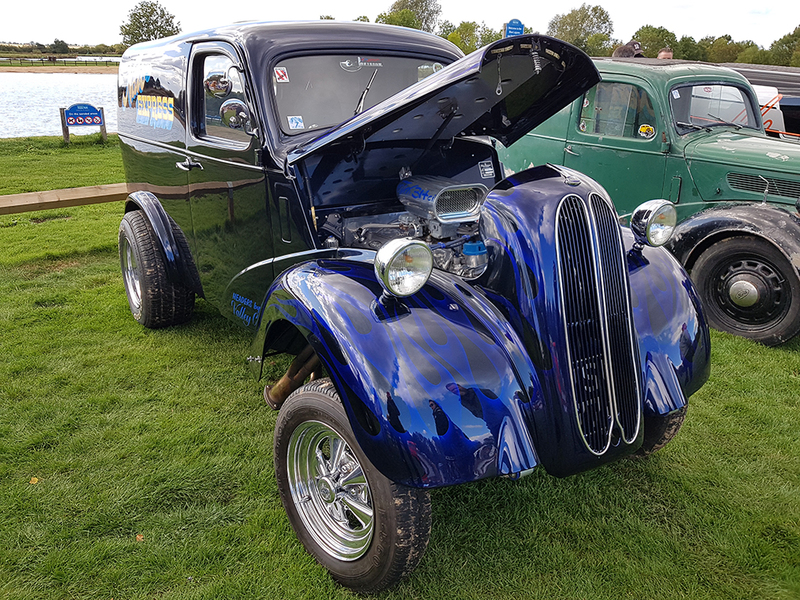 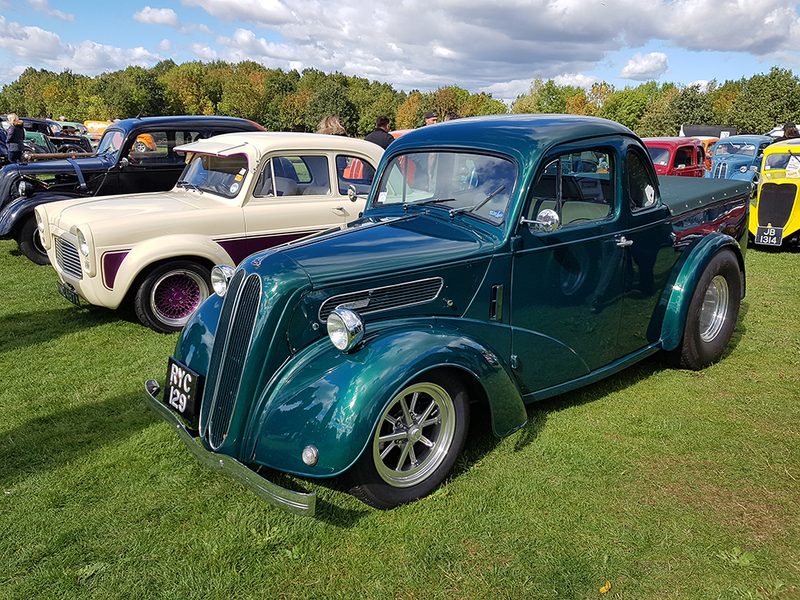 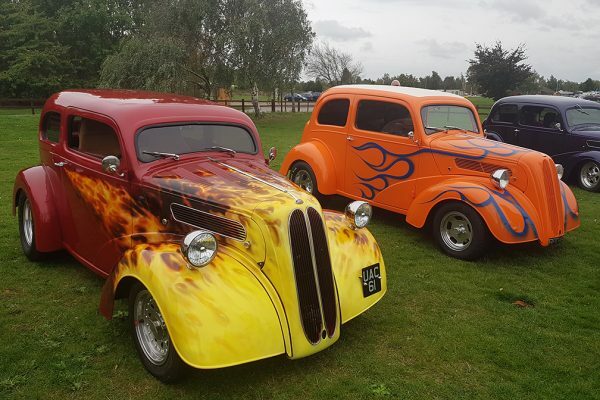 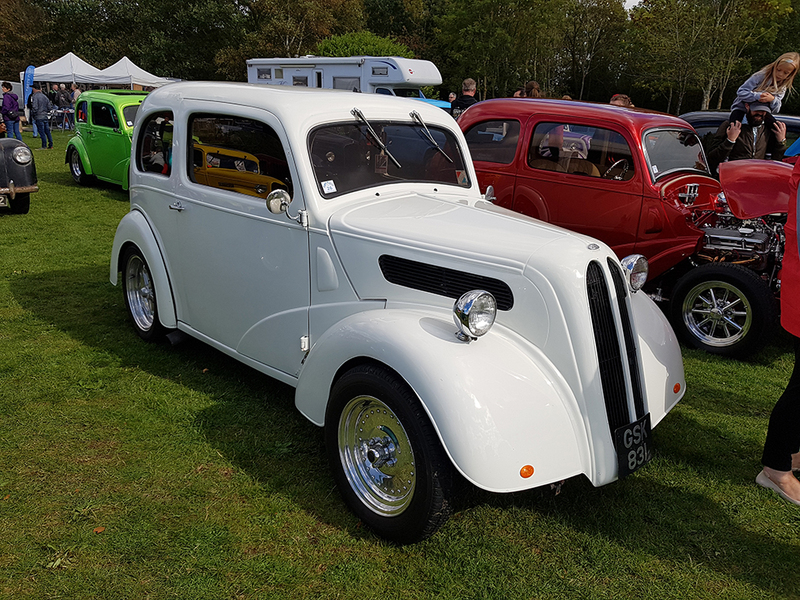 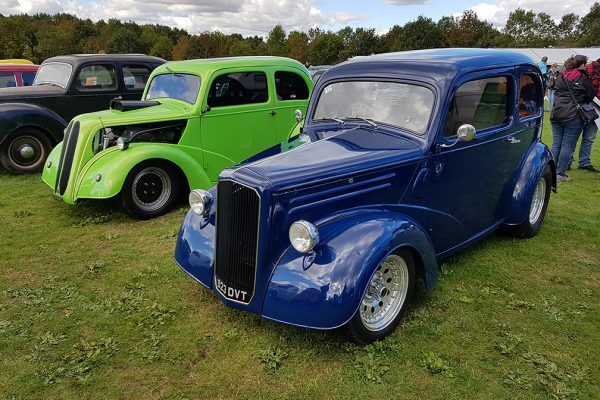 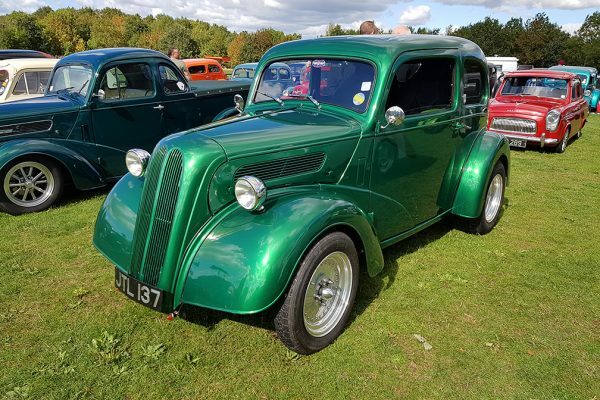 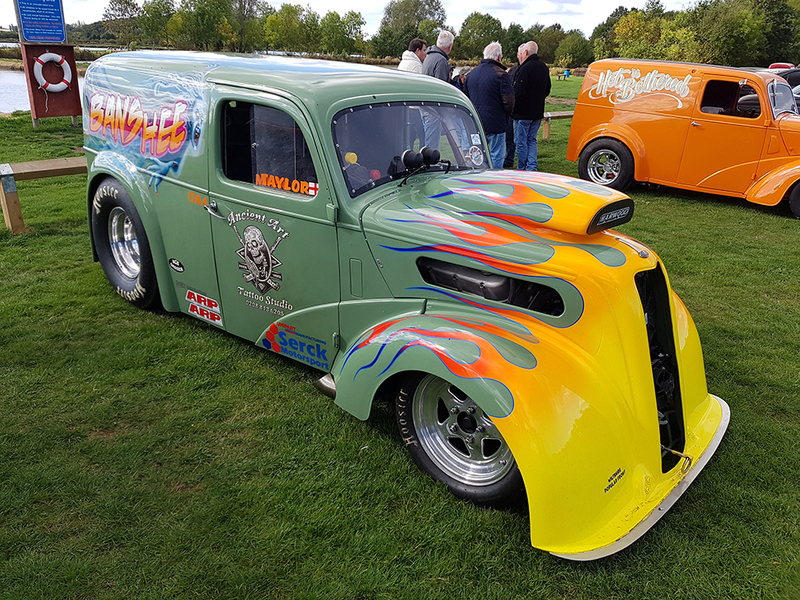 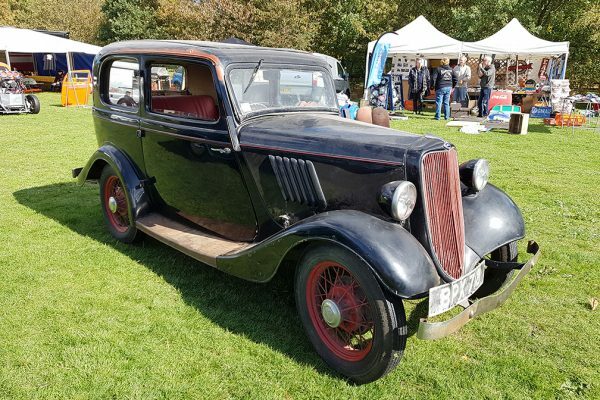 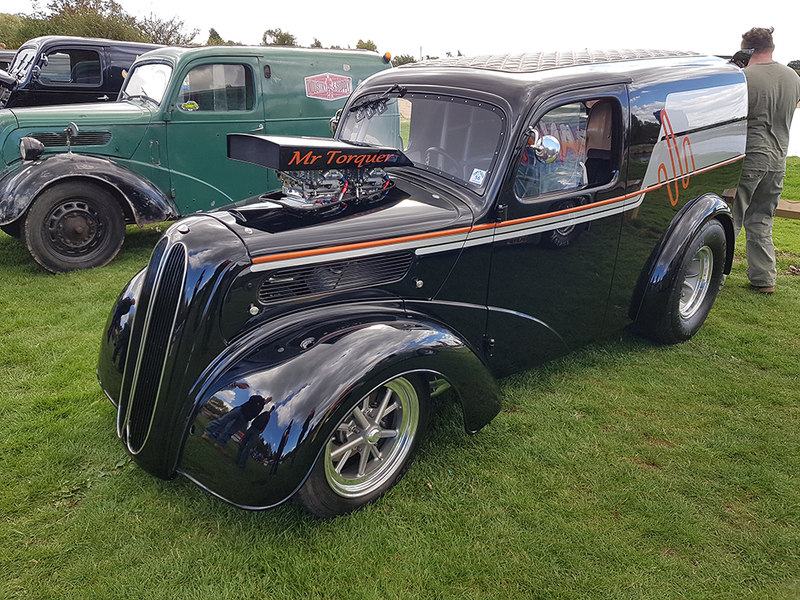 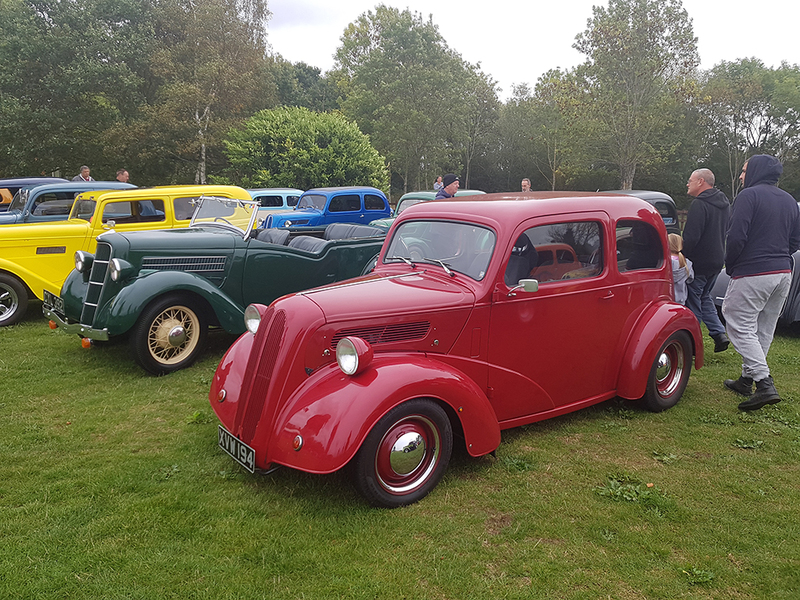 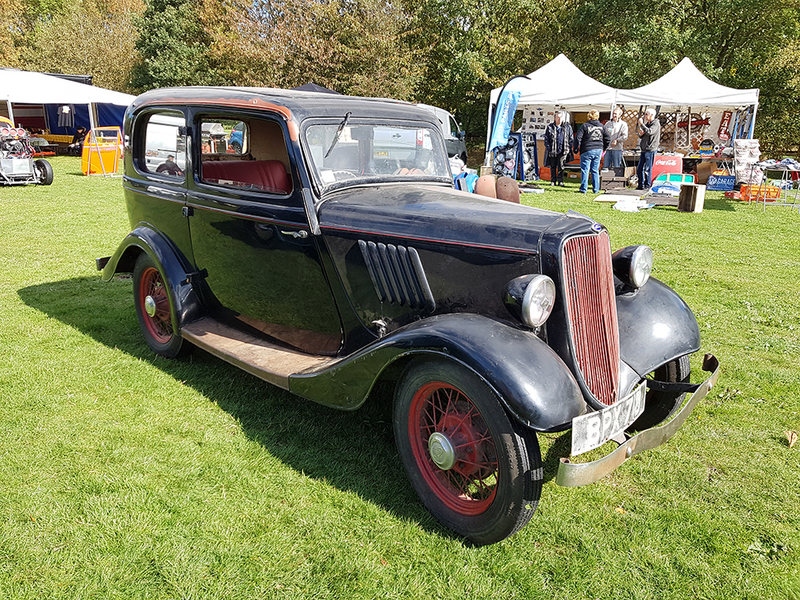 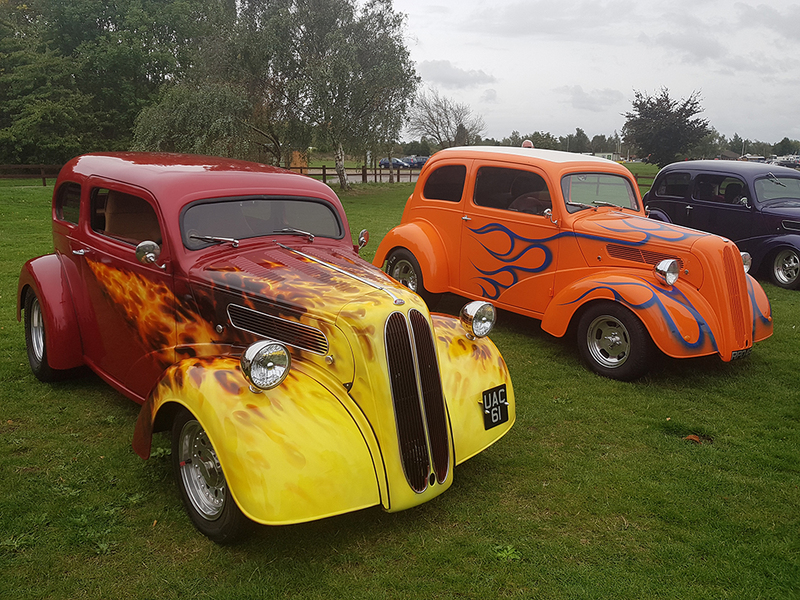 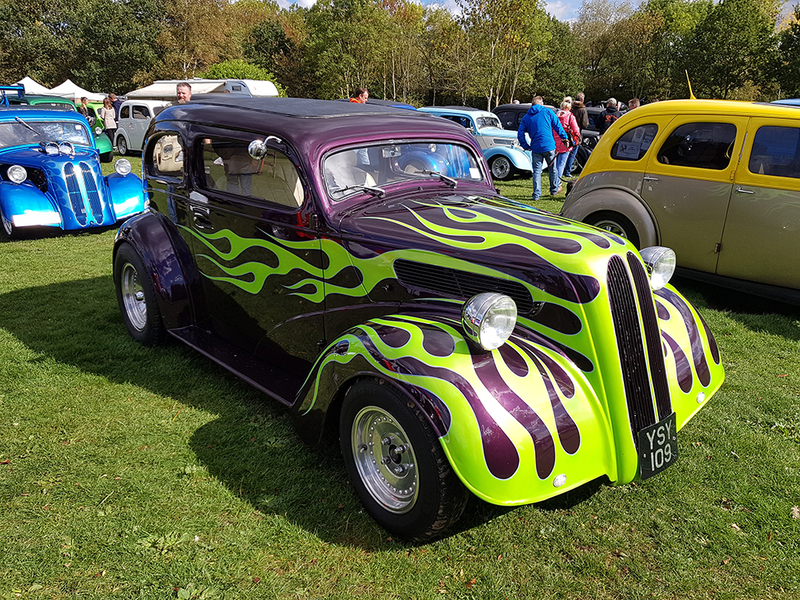 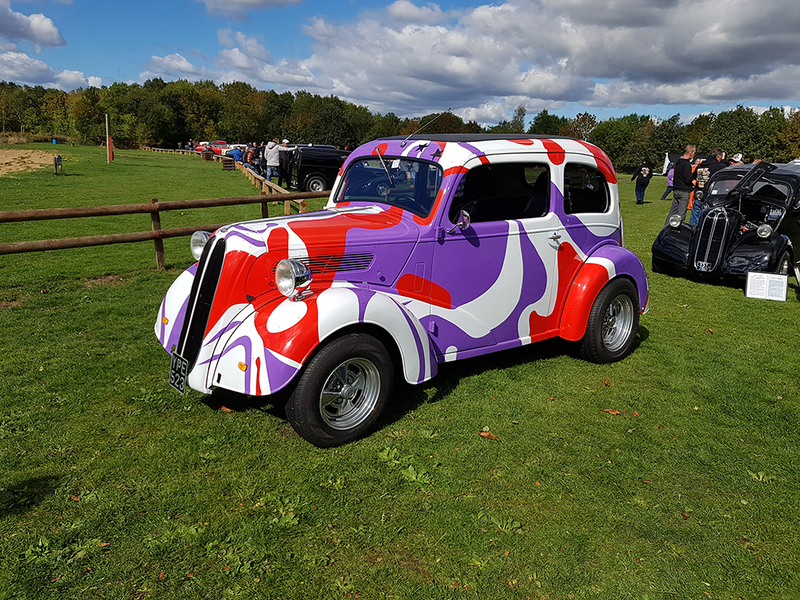 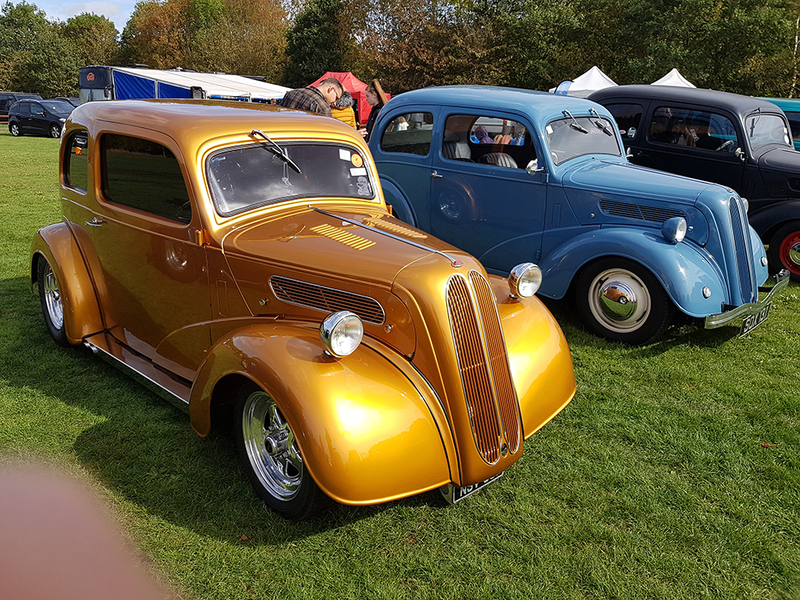 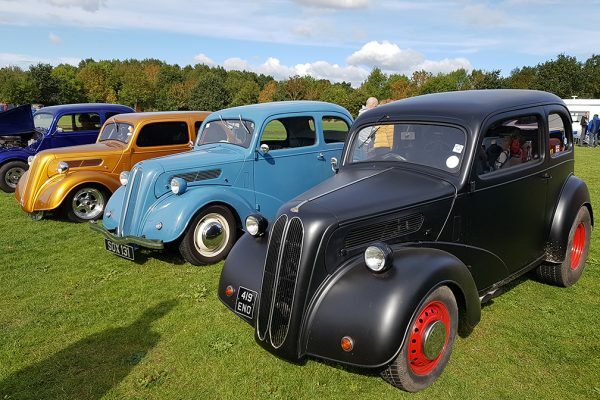 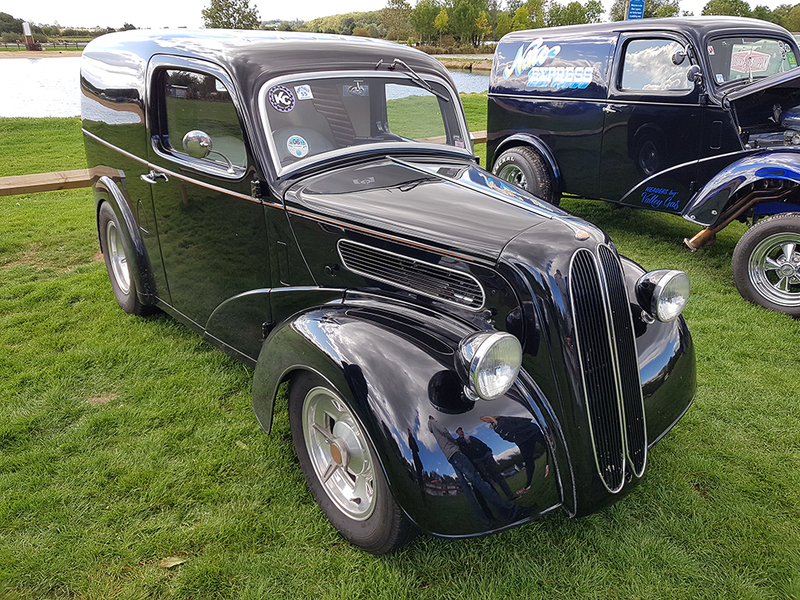 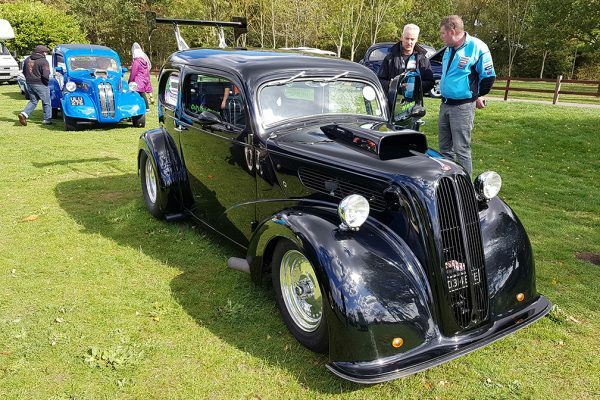 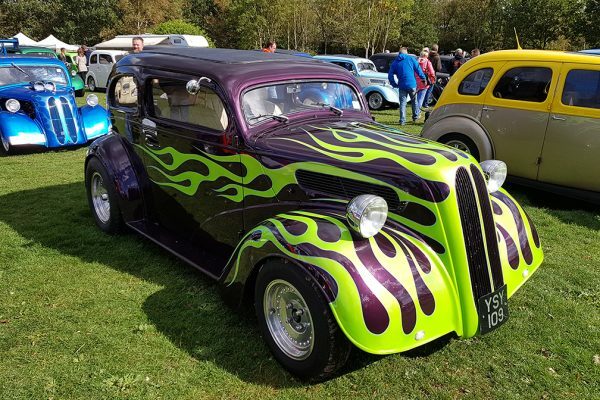 A couple of our favourites from the weekend were the stock Ford Model C Ten owned by Geoff Caves. 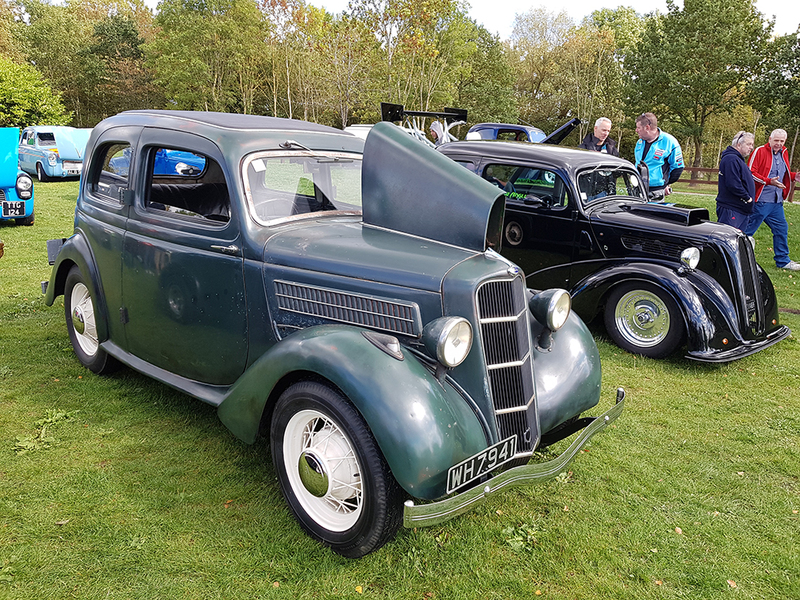 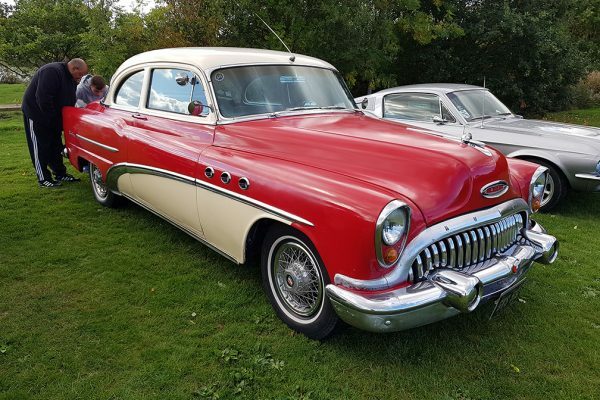 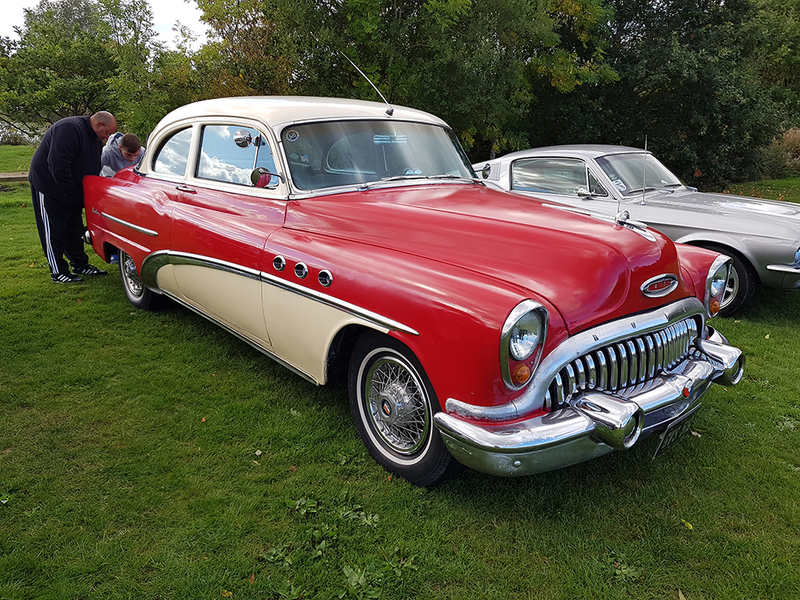 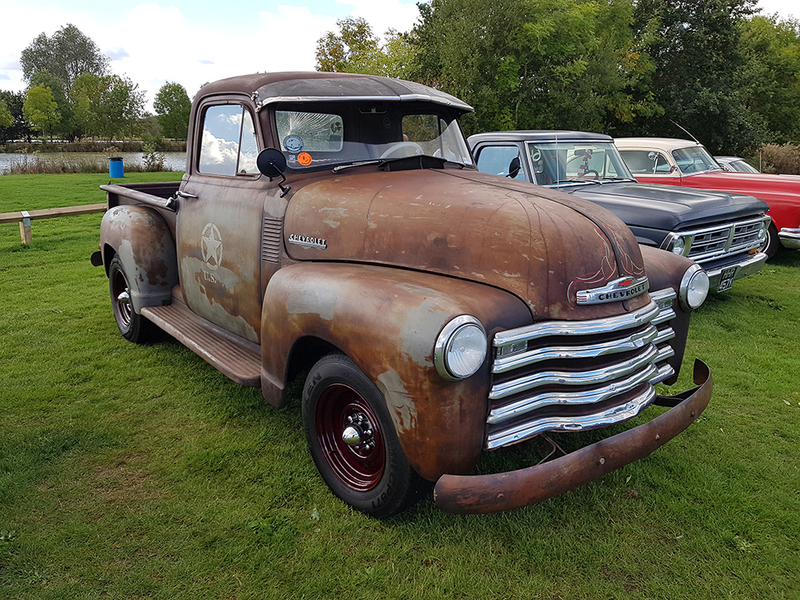 Geoff, who is a well-known hotrodder, has been restoring his Model C for a number of years now so it was great to finally see the car out at a show. 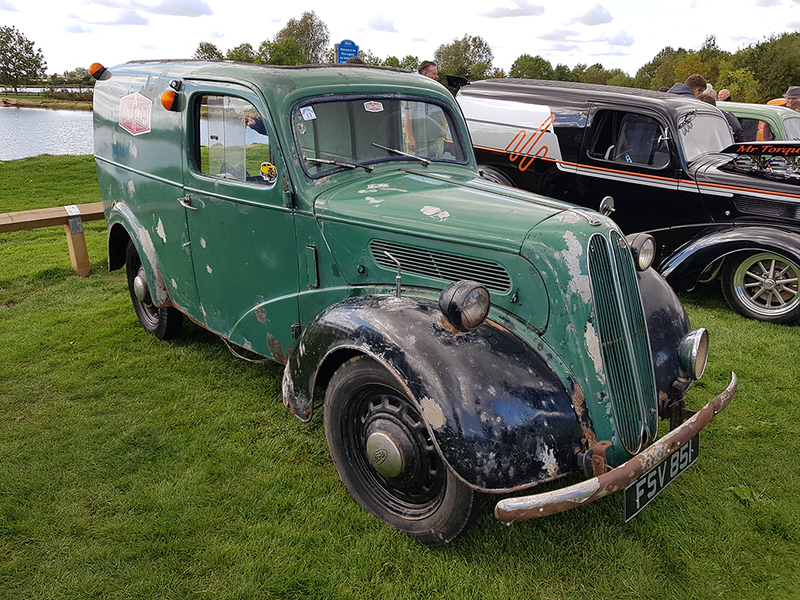 It’s quite rare to see a Ford Model C Ten nowadays so you could understand our astonishment when a second Model C Ten turned up! 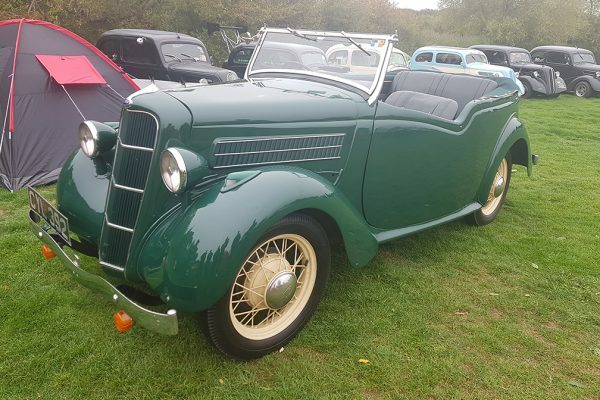 This time in convertible form and being driven by father and son duo Colin and Callum Pudge. 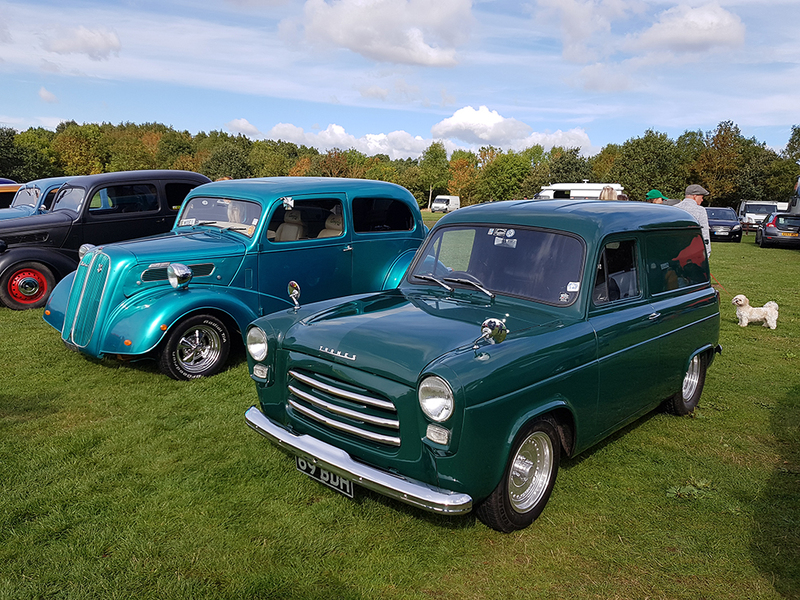 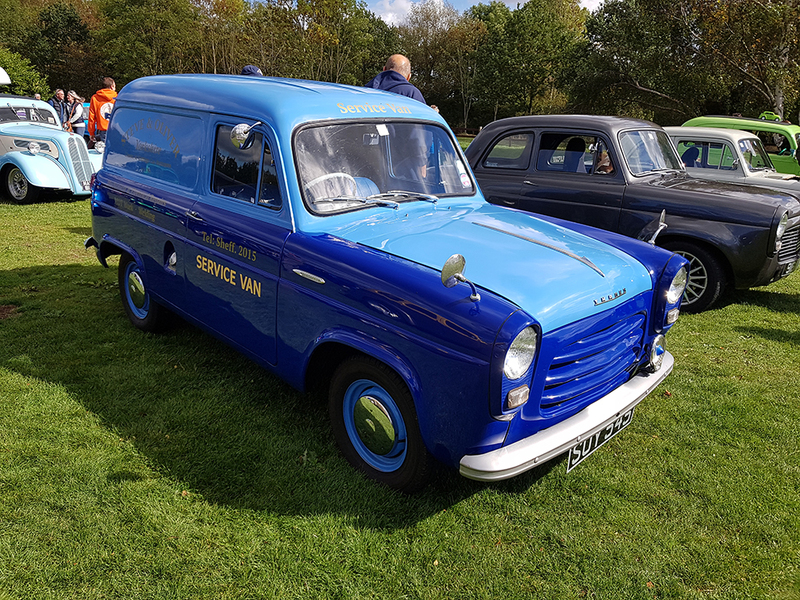 Other stars of the show included the newly rebuilt Hot ‘n Bothered Fordson van, and the ‘Camden Pop’, which was rescued from years wasting away in Camden Market. 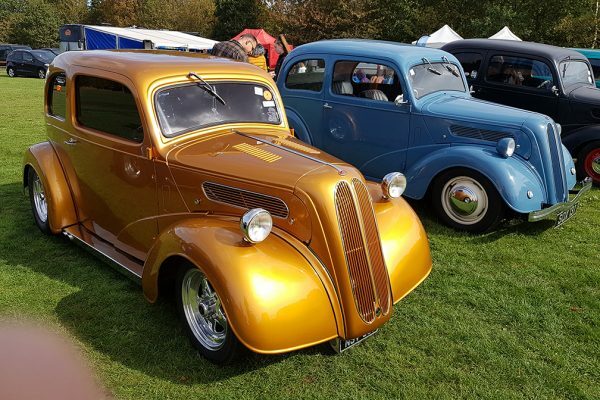 Keep an eye out for our full feature on the Camden Pop soon!